Edna and Jack at their apartment, about 1942. Personal life discovered & restored! 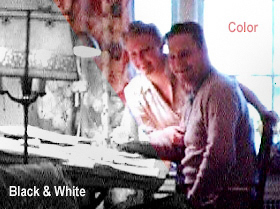 Color and B&W films taken in the late 1920s to the early 1940s by Jack Squire. On January 17, 1915, a photograph of Edna Purviance was featured on the society page of the San Francisco Examiner. The coverage publicized the largest Grand Ball ever held in the city. Just four days later, Edna began her first film with Charles Chaplin at the Niles Studio. In celebration of that anniversary, we announce the restoration of newly discovered movie film footage of Edna Purviance. Taken in the late 1930s and early 1940s, when Edna was in her 40s, these incredibly rare images show Edna during the time of her marriage to John Jack Squire. These are the first films showing Edna in private life after her film career, and the man behind the camera was her husband Jack! Captured image from film: Jack filming PAA Clipper Ship unloading. 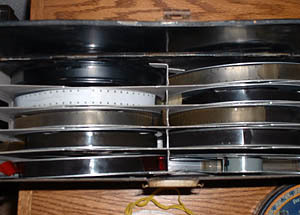 The footage of Edna was contained within 9 reels of b&w and color 16mm film. The reels have been part of the Hill family's collection of Edna's personal possessions. Due to the prohibitive expense, the films were never restored, so the full content of the reels had been unknown. Leading Ladies (Edna's grand nieces Lita and Ellie Hill, and Linda Wada) was formed in 2005 to preserve Edna's memory. After we discovered the services of Debenham Media Group, a relatively economical way of digitally restoring the films became available to us. Debenham Group did a very professional job of digitally transferring the films. The quality is outstanding, the projection speed is correct, and the images are un-cropped and show great detail. Captain Jack Squire flew during the early days of aviation for Pan American Airlines and its subsidiaries, Panagra and Avianca. He also flew for American Airways, better known today as American Airlines. During his Pan Am years, his routes took him from North to South America - over the Andes, into the jungle, many landings on water, all while carrying mail, merchandise and high profile passengers. 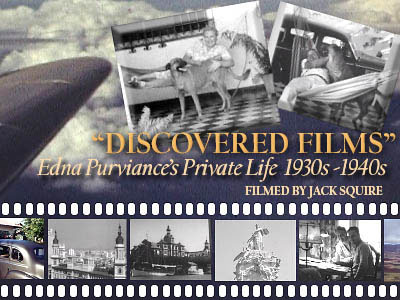 Jack Squire was also an avid filmmaker. 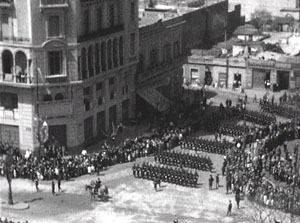 He made movies of many of his trips, especially of South America. In 1928, Edna finished her film career. The two met in Los Angeles in the mid-1930s. Edna and Capt. Squire married in 1938. Edna loved flying, and accompanied Jack on some of his flights across the USA and South America. 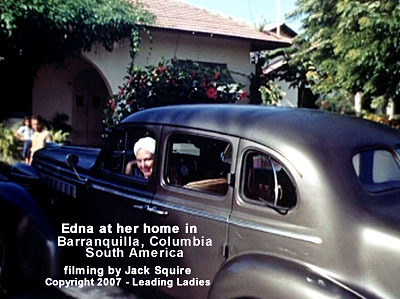 Jack filming Edna at their Columbia home in Barranquilla. While Jack flew USA routes, Jack piloted in South America from the 1920s-1940s. Our collection of Jack's films begin in the 1920's, in Buenos Aires, Argentina. Then, to just before and during WWII when he flew for Pan Am out of Barranquilla, Colombia. Here, he and Edna shared a lovely villa. It includes some of their daily activities together, their staff and friends. We also see earlier film from Jack that takes us to their apartment in United States (we are still researching the location, since they had different homes in the USA). The section of film at their USA apartment has delightful moments of Edna and Jack that make you wish this were a sound film. And in the USA film, we get to see both Jack's and Edna's mothers! It is the first time we see Edna and her mother Louise Nurnberger together in a color motion picture! We have over two hours of film covering many locations in South America. All the films are silent, with about six reels in b&w and two reels in color. We will be editing and creating special films out of this collection. 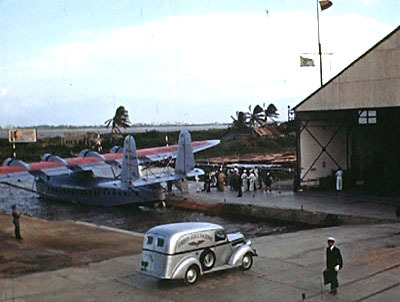 For example, we can show early commercial aviation from Jack's footage, including great scenes showing the famed Pan Am Clipper Ship airliners. There are also some stunning street scenes from circa 1920's Buenos Aires. With 'The Sea Gull' book released in January, we are starting to work with these newly discovered and restored films. Somewhere on the horizon, we hope to give fans the opportunity to see edited footage as part of our DVDs. Special thanks to Lita and Ellie Hill from Leading Ladies for backing the restoration of the films. On a very sad note, Lita passed away on January 21, 2008. She is greatly missed, but we are continuing Leading Ladies, as planned. Lita did get to see The Sea Gull released on January 13, 2008. This book is Leading Ladies first project and is now available to purchase. Edna filmed Jack in some of the footage. Image of Jack and Edna at top was framed by Edna. Content of this page by Linda Wada with film images by Jack Squire. All images for this article are low resolution screen captures. Additional information and editing by Lita and Ellie Hill. Special page created solely for viewing at ednapurviance.org. JULY 2009 - FILM DOCUMENTARY! A portion of Jack's films will used for a segment in a near finished documentary about World War II. 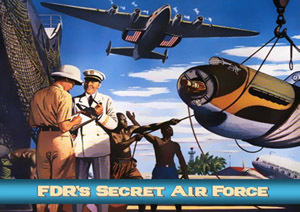 Called 'FDR's Secret Air Force' the film is being created by New York Emmy award winning film producer John Schwally. Schwally has created many projects for PBS, ABC, and others. You can learn more at Edna's Place. Special thanks to Lita and Ellie Hill, Leading Ladies Productions. This special information page created by ednapurviance.org.